Today’s New Moon in “experimental” Aquarius is a chance for us to symbolically wipe the slate clean and begin anew for another month. Even those of us wedded to certain agendas may find that this New Moon is an exhilarating template for doing some major or minor re-visioning of our plans or strategies. The Aquarian New Moon encourages us to throw out the old rules book in hopes of improving upon, or at least jazzing up, our present day reality. Too, we will individually want to see what house this lunation is falling in, in our personal horoscopes, as that is the area of life in which we may sense a shift beginning to take place and a real need for changing things up, or for trying out new approaches. Ideally, this lunation will foster within us an empowering sense of wonderment about what might be possible for us if we but dared to abdicate, or at least temporarily suspend, our self-limiting judgments or beliefs, for a while, and moved instead in the direction of our grandest dreams and the Miraculous Unknown, where an endless array of possibilities are always given wings. Too, our thirst or desire for new experiences, or new growth, is likely peaking now. Alongside this hopeful lunation, we have adventurous Mars in an exact square with expansive Jupiter. This galvanizing influence naturally poises us for risk-taking, although we will also want to make sure that we know what our end goals are, before getting into the game. Otherwise, we could find ourselves over-committing or over-promising, as Mars-Jupiter can make us overzealous and overconfident. It is, however, a very creative aspect and one that often allows us to move mountains. We are also more inclined to let others know our opinions or viewpoints on things now. Some of us may even feel compelled to do a little preaching or proselytizing from the mountaintop, as we are busy moving it, as Jupiter governs our faith, higher convictions and overall philosophy of life. The idealistic Aquarius New Moon also potentially positions us to be involved with noble causes outside of ourselves. “Social entrepreneurs are not content to give a fish or teach how to fish. They will not rest until they have revolutionized the fishing industry.” Bill Drayton. Famous Birthdays February 10: Robert Wagner, Glenn Beck, George Stephanopoulos. “I believe in original sin … I know that I’m capable of craving a cold beer in a village of starving kids … I understand that selfishness vies for space in our hearts with compassion …” George Stephanopoulos. 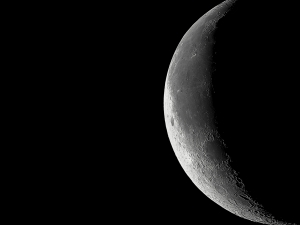 Could the New Moon in Aquarius have caused an unbelievable psychic experience? Is there any relation to this and psychic phenomena? If it makes any difference, Aquarius is in my 8th house of my natal chart and the only planet in it was Jupiter. I have a reason for asking this but it would take way too long to tell the whole story. The 8th house is linked with psychic phenomenon, so I would say in your case, this would definitely be possible. Jupiter is also the planet of opportunity and expansion. The NM falling on your Jupiter in your 8th house certainly could have triggered a memorable or “grand” psychic experience. The eighth house is also associated with the spirit world and visitations from beyond. I find that it also correlates with our nocturnal dream life. I am very, very sorry to hear about what happened to your dear friend. What a tragic event. It certainly does sound like the intuitive part of your being guided you to continue to persist in finding out more about the victim here. With her also being a good friend, it does seem entirely possible that she may have wanted you to make sure that you were aware of what happened to her. Thank you for sharing this sad experience here. Thank you so much for answering my question. It helped me make more sense of why I had this sort of psychic experience. I love your blog too.